5280 Karate Academy Foundation is a non-profit 501(c)3 martial arts studio with locations in Lakewood and Westminster, Colorado. As master black belts with years of training in their field, Grand Master Hart and Grand Master Lewis believe that one of the most effective paths to martial arts training goes through individual attention. 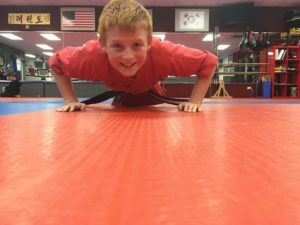 At 5280 Karate Academy, their team of black belt and master-level instructors work with students one-on-one as they delve into training in a safe, non-competitive environment. 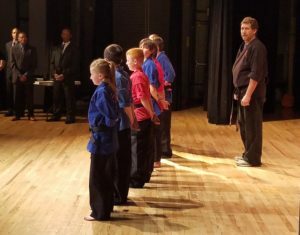 Tae kwon do and karate programs focus on building physical skills such as basic striking technique and self-defense as well as mental discipline and self-esteem. Once students become comfortable with the basics, coaches work with them to develop more personalized training programs designed to accommodate their individual fitness levels and goals. Our mission is to encourage children of all ages to develop their full creative potential through the martial arts. 5280 Karate Academy Foundation strives, through the martial arts, to create a unique environment in which children of all ages (families), abilities, and experiences can feel free to imagine, create, and welcome the martial arts into their lives. 5280 Karate Academy Foundation provides a professional work environment that is challenging, rewarding, creative, and respectful of ideas and individuals. 5280 Karate Academy Foundation offers a place where people can learn the martial arts, meet new people, have fun, and feel comfortable. The objective of the charity is to relieve hardship and distress, and provide education for people in need, particularly children. A child’s growth and development requires safety as well as loving and supportive relationships with parents, siblings, peers, teachers and others.